When: New date TBA. Please contact us with your availability if you’re interested in taking this class. Prerequisite: Basic sewing skills. If you can operate a sewing machine on your own, you’re ready for this workshop. 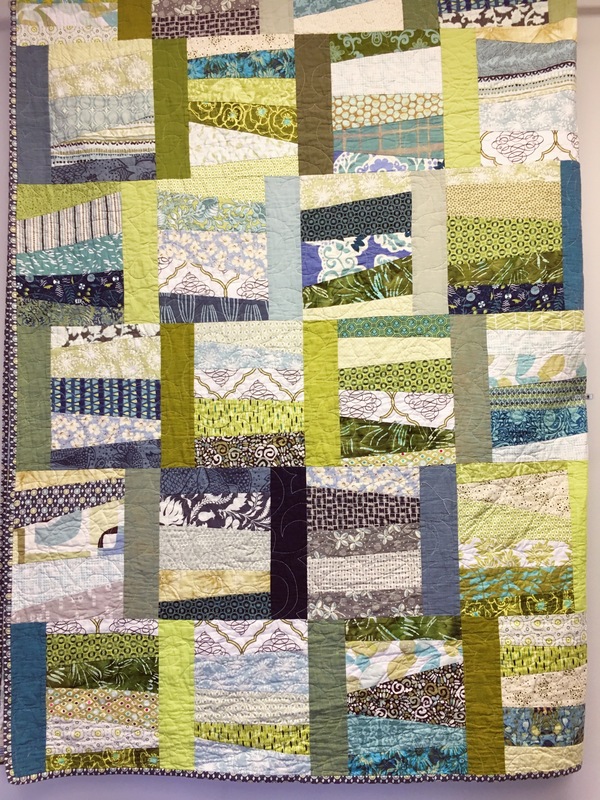 Quilting with a cut and dry pattern can be fun, but letting loose with improv will open you up to a whole new world of quilting. If you want to get your feet wet with something new, but don’t want to go too crazy, this is a great way for you to start. All you have to do if pick out coordinating fabrics and join us for this one-day workshop. Even better, with Cate (shop owner) as your guide, you’ll be sure to master new techniques in no time. As for size, you can make this quilt as large or small as you’d like. So if you want this quilt to land on your own bedspread or maybe gift it to a member of your family, you can set the tone to make sure that it’s just right. Will you be renting one of our sewing machines?